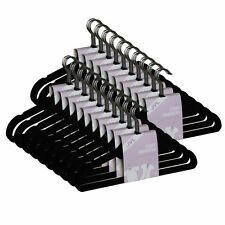 50 x JVL black coat hangers. Velvety smooth texture prevents slipping. Ultra slim design maximises closet space. These JVL Premium Velvet Touch Space Saving Non-Slip Coat Hangers maximise closet space. Velvety smooth texture prevents slipping and the gentle curves preserve the shape of clothing. We'll be glad to help. 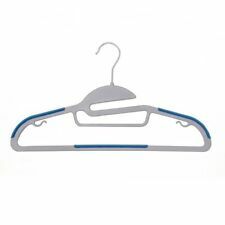 Ultra slim and non slip coat hangers. You get 10 hangers all in black colour. Velvet smooth texture prevents slipping. The design maximises wardrobe space. Gentle curves preserve shape of clothing. End grooves to ang skirts. 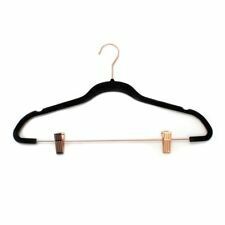 JVL 4 Shelf Trouser Hangers, Set of 4. With 4 shelves you can utilise all the space in your wardrobe. Gentle curves preserve the shape of your clothing. Velvety smooth texture prevents slipping. 200 x JVL black coat hangers. Velvety smooth texture prevents slipping. Ultra slim design maximises closet space. If there's a problem, just let us know and we will fix it. Gentle curves preserves shape of clothing. 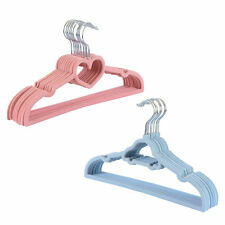 10 x JVL pink heart coat hangers. Velvety smooth texture prevents slipping. Ultra slim design maximises closet space. If there's a problem, just let us know and we will fix it. Gentle curves preserves shape of clothing. Velvety smooth texture prevents slipping. Ultra slim design maximizes closet space. Velvety smooth texture prevents slipping. Ultra slim design maximises closet space. 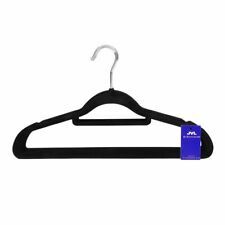 NON-SLIP SURFACE: Premium velvet hangers increases the friction between hangers and clothes, which prevents clothes from slipping off the hangers. Popamazing 100x Thin Space Saving Non-Slip Coat Hangers,Grey (45cm length). Box Contains 50 x JVL beige coat hangers. JVL Suit Jacket High Quality Velvet Touch Non-Slip Coat Hangers, Black, Pac... . Box Contains 5 x JVL black suit hangers. We are only happy if you are happy. Need help?. JVL Premium Range Plastic Space Saving Non-Slip Coat Hangers, Pack of 100, ... . The gentle curves preserves the shape of your delicate clothes. The non-slip rubber patches effectively prevent your clothes from moving on the hanger. We are only happy if you are happy. Need help?. 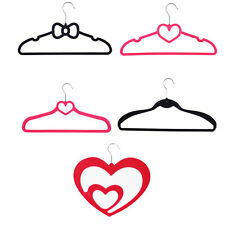 JVL Love Heart Thin Velvet Touch Space Saving Non-Slip Coat Hangers, Hot Pi... . Box Contains 10 x JVL pink heart coat hangers. We are only happy if you are happy. Need help?. 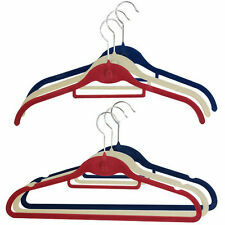 JVL Jubilee Slim Shirt Suit Coat Hangers, Red/Blue/White, Set of 30 . They take up less room than your average wooden or plastic coat hanger so are suitable if you are looking to create more space or fit more into your wardrobe. Box Contains 7 x JVL red shirt hangers7 x JVL blue shirt hangers7 x JVL white shirt hangers3 x JVL blue suit hangers3 x JVL red suit hangers3 x JVL white suit hangers.